We hope our website provides very useful information about our office and our philosophy regarding our practice of dentistry. If you do have questions, please call us at (415) 681-0668 or send us a message! We look forward to meeting you for the first time or seeing you back in our office! Smile big! Dr. Robert Chong started this dental practice back in the 1970s. His son Dr. Greg joined the practice back near the year 2000. Later on, Dr. Alan joined the practice. We've call 350 Parnassus our home for over 40 years. Our philosophy is to treat you as if you are family. We want to provide the very best treatment and only that treatment deemed necessary. We hope you find our office inviting, and comfortable so that we can be your family dentist. We look forward to seeing you. We appreciate the trust you have given us. Please click the link to access our patient health history form. Simply fill in the form and print it. Bring it with you to your first appointment with us. This will help speed up the in take process. Thanks. Please click the link for information regarding our recommendations for electric tooth brushes and how to use them. We hope you find it useful and you are able to achieve a super clean and health mouth and smile! Please click the link for information regarding our recommendations and instructions after you have had a tooth or teeth removed. Please click the link to access our patient information form. Simply fill in the form and print it. Bring it with you to your first appointment with us. This will help speed up the in take process. Thanks. Our goal is to provide the highest level of comprehensive dental care in an environment that is caring, respectful, and understanding while at the same time safely. Your oral health is among our top concern. 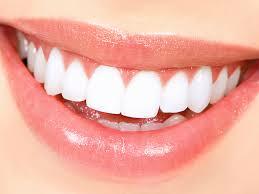 We provide a wide range of General Dentistry procedures and services. Routine dental examinations and teeth cleaning are important elements in maintaining excellent oral health. We highly advocate the use of the Oral B Electric Toothbrush along with regular and consistent flossing. Some times additional cleaning aids are necessary, such as a proxybrush and/or a water pik, to help you keep your teeth and gums the cleanest and healthiest. We'd be more than happy to show you proper technique so you may get your teeth as clean as possible. We welcome questions of any type during your routine care visit. Dental radiographs or x-rays maybe deemed necessary in order to help your dental provider diagnose dental disease such as cavities, gum disease, or emergency conditions. Your radiation safety is of utmost importance to us. We try to limit the dosage one receives as much as diagnostically possible. We employ the use of a digital x-ray system which helps reduce the radiation dosage up to 90%. Dental fillings or restorations are recommended when there has been damage to your tooth. The damage to your tooth may have been the result of a cavity or might simply be chipped or broken from eating foods. There are typically two types of restorative materials we use today. 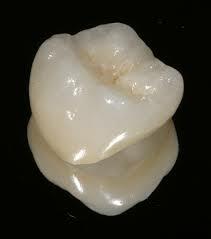 The most popular restorative material used today is the white fillings, or composite resin fillings. Teeth can still be restored using the amalgam, or silver filling, material, but these have been falling out of favor because this restorative material is the one that contains mercury. The choice of restorative material is a discussion you and your dental provider will have to determine which material has more advantages than disadvantages depending on the condition of your tooth. Crowns are coverings for teeth. They are recommended when there is a severe compromise to the structural integrity of the tooth. They can be made out of several types of materials including gold, lithium disilicate, and zirconia to name a few. E.max crowns are made out of Lithium Disilicate, and are our best looking crowns while at the same time being very strong. Discussions with your dental provider will help to make informed decisions regarding the very best materials to be used and techniques in helping save your tooth. 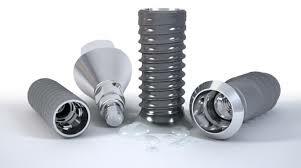 Dental implants are a system of titanium screws and parts to help replace a missing or severely damaged tooth beyond repair. We often call them fixtures. They are surgically placed into the jaw bone, thereafter once healing has occurred, a crown is custom fabricated to be placed on top. It is our very best way to replace a missing tooth or teeth in its entirety. In our office, we recommend the Tray Bleaching (#2) method because of reusability. The bleaching gel used in tray bleaching comes in a syringe format. The trays are formed from impressions or moulds of your teeth and fit very accurately and can be reused many times. Typically the process involves loading the tray with the whitening gel, and wearing the tray for about 2 hours time over 7-8 days. We prefer this method because it is a balance between cost and convenience. Refills syringes are available to purchase from our office. Over the Counter bleaching is the cheapest option, but may take the longest to get to the results you are looking for. There are few side effects to whitening of the teeth. Teeth sensitivity is the most common with any method, with in-office whitening causing the most sensitivity. The sensitivity is transient; it does not linger once you stop whitening. We recommend if any teeth sensitivity should arise, stop for a day or two, in other words take a break, and then try whitening again. We'll be happy to entertain any questions or inquiries into any whitening method you may have. Please consult with your dental provider. Smile design is a process involving diagnosis, planning, and treatment to help improve one's smile. Sometimes it may be severe enough to warrant rehabilitation of one's entire mouth. There are a variety of innovative techniques and great materials in dentistry today that allow us to provide the highest level of care to improve your smile. For more information, simply start a conversation about your concerns with your dental provider. Night guards are oral retainers or appliances that are typically worn at night time or while you sleep. They are used because your dental professional recommended it to help curb or treat the side effects of bruxism (i.e. clenching and/or grinding habits). Bruxism habits are quite destructive to natural tooth structure and to the whole masticatory system. The night guard is worn to help alleviate pain and/or other side effects from bruxism. If you suspect you maybe grinding and/or clenching your teeth, please consult with your dental provider for more information and an examination. We are conveniently located across and down the street from UCSF. There is a parking garage under our building and there is another parking garage at UCSF with its entrance on Irving St. Public transportation is also convenient with the #6 and #43 bus line stopping just across the street. The N Judah light rail car stops off at UCSF on Irving St. There is a Starbucks Coffee shop in the lobby of our building. We are on the 4th floor. Call us at (415) 681-0668 if you need directions. We'll be more than happy to help! Emergencies after hours are available.